How to improve your customer experience? Customer experience is how businesses acquire and keep customers. This is not rocket science. But how can businesses actually improve their customer experience? 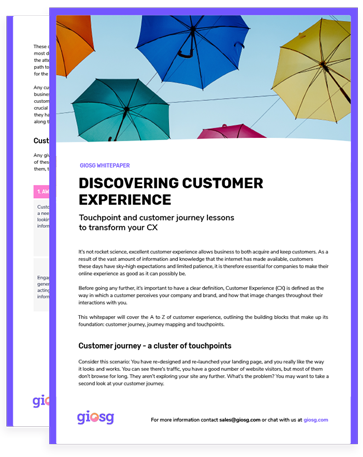 By reading this whitepaper, you will: understand your customer journey stages, master the creation of touchpoints & learn how to improve your customer journey map. And also get insight on how to apply theory to practice!